Let’s start with the biggest item… I already knew what it was because the person already gave me a hint. Haha, keeping secrets is hard in my family! 😉 But despite that I was way to happy with this big gift! And to be honest I don’t have a big mirror at home to see my outfits, but now I finally got one! And the special part about this one is that it’s a mirror jewelry closet. How cool is this! Now I also can keep my jewelry safe. Last year I got an awesome light box and now I can add a letter board to the collection! Yaay! I’m such a fan from such boards! Because it’s so nice to switch often to another inspiring quote! And I also a huge fan from scents candles and I got this good one from rituals. And now that we are talking about good smells I also got gucci bamboo. I asked for a bluetooth headphone from sony. But because of some practice reasons I needed to exchange this one. But I switched it for a better one! Not to be ungrateful but they understand why I need to switched it! But I’m so happy that I finally got headphone! I also got much aa batteries, a cute rainbow money box and an amazing coins purse. The last amazing gifts where beautiful pink running shoes, a mini foam roller, 2 nice headbands and the cookbook easy vegan! And the cookbook was on my wishlist for a while now! I can’t wait to make food from this like the vegan mac ‘n’ cheese! I can’t wait to try that! 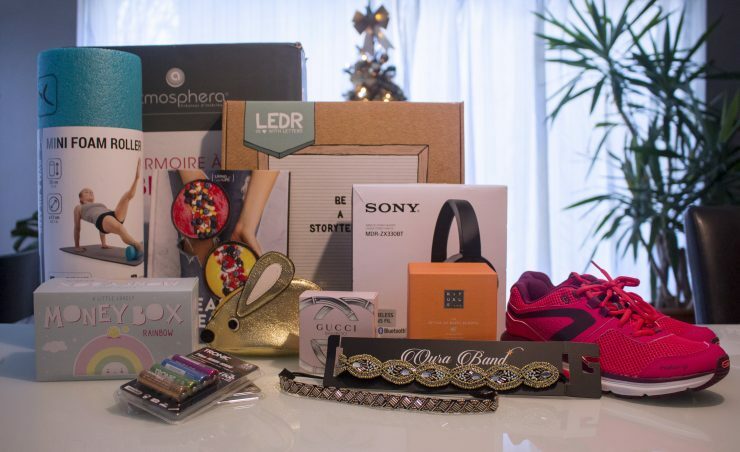 Ik moet eerlijk zeggen dat ik het eventjes vreemd vond nieuwjaarsavond en cadeaus, dacht eigenlijk dat je jarig was en zo je verjaardag noemde. Erg leuk idee nieuwjaarsavond cadeau’s, dan begin je jaar nog is goed want ik vind krijgen net zo leuk als geven en het is iets origineels. Haha, ik snap zeker waarom je het eerst vreemd vond hoor!